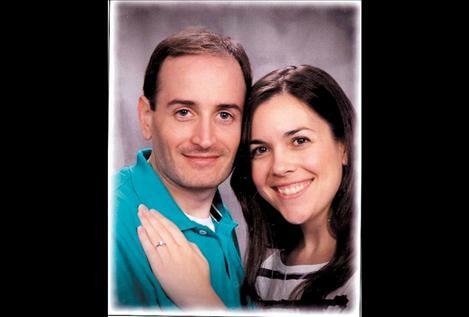 NEW YORK — Richard and Judy Ayres of St. Ignatius are pleased to announce the engagement of their daughter Erinn Rae Ayres to Paul J. DiMaggio. The bride to be is the granddaughter of Rich F. (deceased) and Jane D. Ayres of Santa Barbara, Calif. and Jess and Gertrude Simkins (both deceased) of St. Ignatius. She graduated from St. Ignatius High School in 1999, the University of Arizona Medical School in 2009 and is currently a medical resident in internal medicine at Weill Cornell Medical College in New York City, N.Y. The groom to be is the son of Paul and Linda DiMaggio of Mesa, Ariz. and the grandson of Mary Jane DiMaggio of Long Island, N.Y. He graduated from Red Mountain High School in Mesa, Ariz. in 2000 and the University of Arizona Medical School in 2009. He is currently a medical resident in pathology at Weill Cornell Medical College in New York City, N.Y.
A June 1, 2013, wedding in Montana is planned.